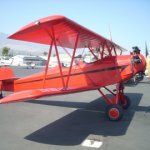 Since it was founded in 1930, the Santa Paula Airport has been widely recognized around the world for its array of aircraft and celebrated for its climate and friendliness. Today the museum has a video highlighting the construction and dedication, extensive library of historical photographs, artifacts and much more on display. The "Chain of Hangars" consists of privately owned hangars showcasing the owners unique personal collections. They include antique, classic and experimental aircraft, automobiles, race cars, motorcycles, juke boxes an enormous antique radio and phonograph collection, paintings, photo's, model aircraft and a variety of aviation artifacts. Antique and vintage aircraft are on static display, and vintage aircraft fly in each month. For youth ages 8-17, the Young Eagles program offers free plane rides from the EAA Chapter 723. 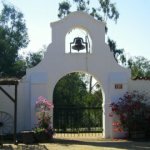 The Camarillo Ranch was originally a 10,000 acre Mexican land grant purchased by the Camarillo family in 1875 from the original owners. 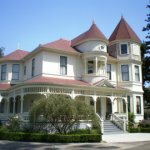 Adolfo Camarillo built the Queen Anne Victorian home in 1892. Later the barn and stables were added to support the agricultural work and house the renowned Camarillo White Horses. Today the ranch is owned by the City of Camarillo and operated by the non-profit Camarillo Ranch Foundation. 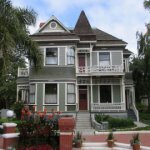 Tours of the Victorian home are available on Saturdays, Sundays, and Mondays between 12:00 p.m. and 3:00 p.m.
Carnegie Art Museum in the heart of Downtown Oxnard and next to the year round festivals in Plaza Park, was the City’s first 1906 Public Library. Now it surrounds the visitor with classical, beaux-art architecture and vibrant art. Sharing the Southern California Art experience, the Museum shows top examples of the Gold Coast’s and Southland’s art scenes from contemporary-realism to abstraction and from painting to photography. Next door at the CAM Studio Gallery, mini permanent collection exhibits are on view and visitors can meet a guest artist-in-residence while seeing their work in progress. 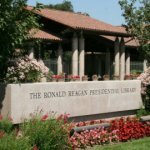 Checking Carnegie’s diverse events and changing exhibits ahead is recommended at www.carnegieam.org or (805)385-8158/8157. 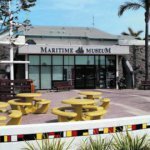 The Channel Islands Maritime Museum celebrates five centuries of "art that sails" every day as a cultural and scenic haven in the gorgeous Channel Islands Harbor. Complete with exquisite maritime paintings dating from the early 17th century, ship models representing 3,000 years of maritime history, artifacts, and ocean breezes, the museum has an ever-changing calendar of museum exhibitions, lectures, educational field trips, and contemporary installations. If your idea of a maritime museum is limited to rusty anchors and old salty sea dogs, come and discover a vibrant cultural venue in the Channel Islands Harbor! 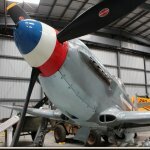 Located at the Camarillo Airport in Camarillo, California, the Southern California Wing of the Commemorative Air Force is an all-volunteer organization, dedicated to preserving the history and legacy of WWII aircraft. CAFSoCal is a “living museum” with over twelve vintage flying aircraft in two maintenance hangars as well as a museum hangar with periodically updated displays of historical artifacts. Our cadre of volunteer docents are very knowledgeable and available to give tours of our facilities to visitors (groups of more than 10 will need reservations in order to line up docents to guide you through). We have an ever-growing museum of World War II aviation artifacts and displays, with plans for an aviation library. There is a gift shop in the museum for you to purchase mementos of your visit with us. The maintenance hangars are in operation on Tuesdays, Thursdays, and Saturdays when the public can observe the mechanics (from designated areas) working on the aircraft and perhaps watch an engine run up or see one taking off on a test flight. Our warbird ride program is extremely popular. Visitors (with reservations) can purchase rides on WWII era aircraft ranging from open cockpit trainers to high performance fighters and bombers. The house has been an ongoing preservation activity since 1977. Owned by the city since 1977, SBH was formed and took over the project when proposition 13 prevented the city from continuing to fund the project. The interior is complete with much of the original Dudley furniture returning to the house in 2006 from the estate of the late Johanna Dudley Overby. The terraces and pergola for outdoor events have been installed on the north side of the house, and the newly installed demonstration lavender garden with some 200 plants and over 100 varieties, reportedly the largest collection of lavender varieties in a public U.S. location. The house is a living history museum reflecting the life of the Dudley family. 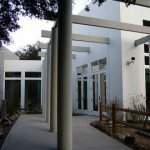 The basement is used as a community room and visitor center with cooking facilities and is available for small events and receptions. Larger events can be held outside on the grounds. 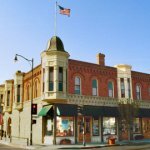 The Fillmore Historical Museum exhibits four historical buildings with treasures from the early days in the Santa Clara Valley. 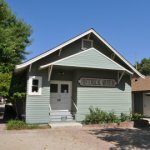 The Hinckley House, a 1905 Craftsman-style home, our 1887 Southern Pacific Railroad depot, the 1919 Rancho Sespe Bunkhouse, and a craftsman-style garage with a 1930 Model A pickup truck. Our display rooms depict how life was in the early years in the Fillmore, Bardsdale and Piru area. Pictorial displays depict our areaâ€™s past, both every day happenings as well as fires, floods and earthquakes. Heritage Square is by far an exceptionally original and notably historic part of Oxnard. 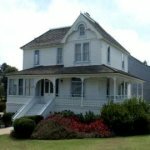 The 15 beautifully restored structures on our site preserve some of the special history of Oxnard's early pioneer families. 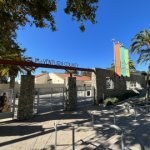 You would enjoy a morning or afternoon spent at Heritage Square, a major tourist attraction of which the community enjoys as an event and cultural center. The homes have been repurpased for business use, but you can still find a glimmer of what was, in historical Oxnard. 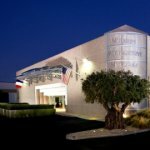 The Mullin Automotive Museum is an homage to the art deco and the machine age - eras that produced exquisite art and magnificent automobiles. The museum is home to the finest Historic French automobiles from Bugatti to Voisin as well as significant and representative decorative art from the 1920s and 1930s. Many of the cars displayed have won prestigious awards at Concours D'Elegance throughout the world. Also on view are famous French race cars, many of them past winners of historic races such as the Grand Prix de Pau and Le Mans. 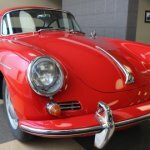 The Murphy Auto Museum is home to more than 50 vintage/collectible cars on display inside a massive 30,000 square foot warehouse. Located near downtown Oxnard, the museum’s cars range from a 1903 Oldsmobile to more modern day automobiles, and everything in between. Visitors will also enjoy a large collection of Americana on display inside the museum as well as car art by four local automotive artists. The museum houses a large collection of vintage clothing which is tastefully decorated near the automobiles of the appropriate era. The museum is also home to the Gold Coast Modular Railroad Club, an 1,800 square foot working model train layout. Visitors will be fascinated as the train snakes through canyons, cities and countryside via its miles of scale track. Exhibits change each quarter so you will want to visit the museum again and again. Bring the family! There is plenty to do and see for everyone. 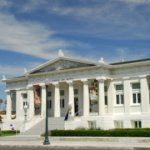 The Museum of Ventura County, founded in 1913, celebrates, preserves and interprets the art, history and culture of Ventura County, the Channel Islands and surrounding areas through its rotating exhibits, events, collections, education programs and research library. Our collections include: The George Stuart Historical Figures®, artwork of contemporary and historic regional artists, clothing and accessories (from the 18th century to the present), medical equipment, toys, musical instruments, tack and saddles, and a permanent exhibit of the Chumash Native Americans. 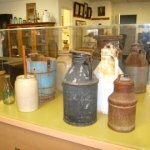 The Museum of Ventura County Agriculture Museum in Santa Paula tell the story of Ventura County’s farming and ranching traditions and their evolution. 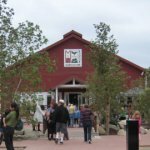 Museum attractions also include a working beehive and vintage tractors from its nationally recognized collection, including one for children to climb. 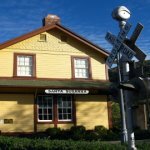 The Agriculture Museum is appropriately housed in the landmark 1888 restored Mill building beside the railroad tracks and depot in Santa Paula’s historic downtown. 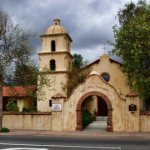 In downtown Ojai you’ll find a museum highlighting the history, art and culture of the famed Ojai Valley. With both permanent and temporary exhibits, every visit brings new delights along with old favorites such as Sespe wilderness diorama. Listed on the National Register of Historic Places, the Museum is housed in a former church. The site includes a Chumash interpretive garden. 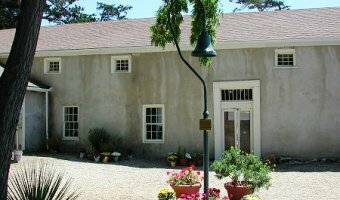 The Olivas Adobe, located in Ventura, California, is an adobe built in 1841 by Raymundo Olivas. Olivas built the adobe home in 1841, and expanded it in 1849 to two stories, making it the only such building in the area. He and wife and their 21 children lived here until 1899. 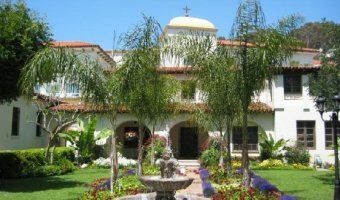 It later became part of Max Fleischman's holdings (of yeast and margarine fame), and it was he who donated the land and the house to the City of Ventura. 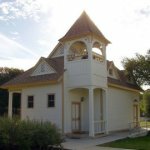 The Oxnard Historic Farm Park Foundation was established in 2002 to help develop a historic farm park on the .86 acre site designated as The Gottfried Maulhardt/Albert Pfeiler Farm Site – Ventura County Historical Landmark 165. 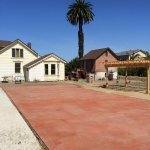 The Farm Park includes two of the earliest structures built on the Oxnard Plain during the 1870s and now the oldest remaining buildings. Included is the Maulhardt Winery that was used to store the wine for the Santa Clara Chapel. Currently, the Farm Park has 60 vines taken from the Santa Cruz Island that date back to the 1880s. A small lemon and avocado orchard have been planted. Among the varieties of avocados includes the Daily-11 that produces a 5 pound fruit. The site also includes a 1890s carriage buckboard from the Friedrich family, one of the oldest lima bean threshers from the county dating back to the early 1900s and multiple sub plows and other farming implements from the area. Pleasant Valley is the early name given to the fertile farmlands of the Somis, Camarillo and Springville area. The museum is a community asset that houses many Chumash and pioneer artifacts, photos and documents. We have rare Chumash woven baskets and original clothing from the Camarillo family. The botanical garden is a wonderful place for weddings and the annual Living History Day in May teaches children how the pioneers lived. Our research library contains many early Camarillo books and journals describing the history of the Chumash and pioneer families. 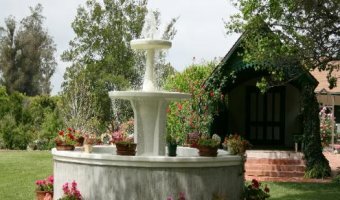 The present 1,800 acre Camulos Ranch, established by Ygnacio del Valle in 1853, was carved out of the 48,612 acre Rancho San Francisco, granted in 1839 to Ygnacio's father Antonio del Valle, majordomo and administrator of Mission San Fernando. Camulos was located at the western boundary of the rancho and was originally a Tataviam Indian village known as Kamulus. The San Fernando Mission used the area as early as 1804 for raising small animals and crops grown by the Indians, who numbered 416 when visited by Inspector General of the Missions in 1839. Important change in hours: Effective May 12, Rancho Camulos will now be open for docent-led tours on Saturdays in addition to Sunday tours. Please check Ranchocamulos.org for details. 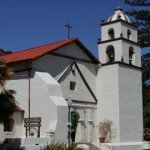 Mission San Buenaventura was founded on Easter Sunday, March 31, 1782 in Las Californias, part of the Spanish Viceroyalty of New Spain. Named for a Franciscan theologian, Saint Bonaventure, it was the last of the missions founded by Father Serra. 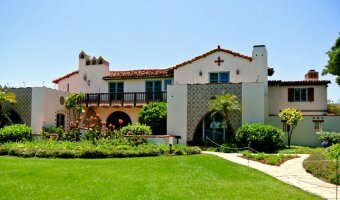 Mission San Buenaventura was planned to be founded in the year 1770, but the founding was delayed because of the low availability of the military escorts needed to establish Mission San Buenaventura. In 1793, the first church burned down. Today, only a small section of the entire mission still stands; the Cemetery to the left of the church is covered by a school. It took the neophytes 16 years to build the new church, which still stands today. 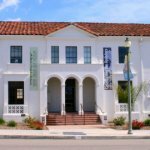 The Santa Paula Art Museum was established as a not-for-profit organization to preserve and share the artistic heritage known as the Santa Paula Art Collection. 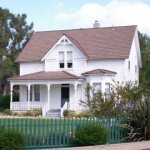 Visit the beautiful Monterey-style building furnished with authentic furniture and personal items passed down from the Conejo Valley's founding families. View artifacts depicting 10,000 years of Native American society. Immerse yourself in the Tri-Village which represents the early tenancies of the Chumash Native Peoples, the Spanish/Mexican and American settlers who prospered in this beautiful land. See our new renovated Anderson Hall and changing exhibits; join our special programs. Also tour our new blacksmith shop. 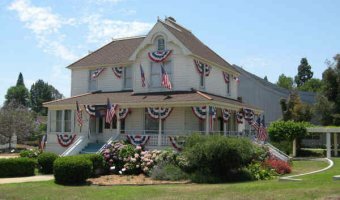 Step into Simi Valley’s past at Strathearn Historical Park & Museum. 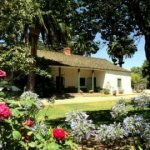 This beautiful six acre park, which is part of the Rancho Simi Recreation and Park District and the site of California Historic Landmark #979, has the feel of a small town from years gone by. 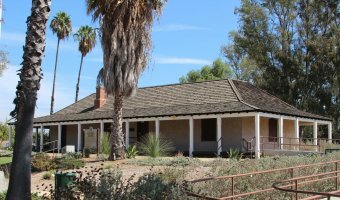 The many historic buildings at the park include an adobe structure built in the early 1800s, the Strathearn House built c.1892, the original St. Rose of Lima Church Building, Simi Valley’s first public library, and a Colony house built c.1888. We invite visitors to travel back in time to the Spanish land grant era and Simi Valley's pioneer days.